There was an event in Bristol recently to discuss a newly published report by the Resolution Foundation – “A Western Union: living standards and devolution in the West of England“. This report discusses the living standards challenge facing the soon to be elected West of England Metro Mayor. It’s a report that sets out the statistics demonstrating the gaps between pay and productivity, wages and house prices/rents and geographically between areas of South Bristol and Bath compared to the rest of the city region. It also highlights how low earners and single parents have faired the worst since the recession. It sets out very clearly what we already know, and have know for some time, that the West of England is a relatively prosperous city region. We faired pretty well during the recession and our recovery since has been rapid, but we face particular challenges some borne out of that success and some more entrenched in the very nature of our city region. Ask anyone what the issues are for the West of England and housing will likely be pretty close to the top of their list (alongside transport). The challenge here is huge compared to other city regions, house prices are at least 10 times higher than the typical salary, there’s a lower proportion of people living in social rented accommodation and an increasing number reliant on private renting. Rents in the West of England are now 38% higher than in other city regions, making up 41% of the typical gross monthly salary, that’s an insane amount. The other major challenge identified in the West of England is the distribution of economic success. On average household incomes are higher in our city region than they are in most others, as are employment rates, but these average figures hide a number of significant divides and inequalities demonstrating that not everyone has shared in this relative success. The rise in productivity is not being translated into increasing pay and it is the lower paid workers who have faired less well in recent years. The post-crisis pay squeeze has been felt most by low to middle earners in the West of England. Anyway, back to the event itself. There was a panel including Conor D’Arcy from the Resolution Foundation; the Mayor of Bristol, Marvin Rees; Jaya Chakrabarti of Nameless Media; and John Savage from the Chamber of Commerce. After an initial introduction to the report from Conor, the other participants then set out what they thought were the key challenges facing the new metro mayor and what the role entailed. There was relative agreement about the role itself, with some concerns expressed about the central imposition of this new metro mayor on our area, but also general acceptance that is was going to happen therefore we had to make the most of it. The participants each covered a range of issues with Marvin setting out how he thought we should be talking about behaviours rather than structures and that the role was about collaboration, emotional intelligence and complementary sovereignty. The difficult task would be to find shared priorities given the diversity of the patch. Jaya talked about the need for civic leadership and how this could work at a city region level before going on to raise concerns about in-work poverty and how this is a key issue across our area. John reminded us about the inequalities across our divided city region and how these included the same areas as those of 10/20 years ago, leaving the same people behind decade after decade. He outlined how he thought the role of the metro mayor was an enabling one, which would undoubtedly be hindered by the leadership of some of the constituent authorities. The discussion that followed was varied and initially picked up on the housing crisis and the problems young people were experiencing across the city region, with the need to build more affordable homes emphasised as well as the need to control rents and improve the security of private sector tenancies. There was also a debate about sovereignty, centralisation and power distribution, with most agreeing that the relationship between government and local councils was more like a parent/child relationship, with the government in control. The need for a structural and cultural rebalancing of sovereignty was stressed, with the point made that devolution seemed to be about devolution of austerity rather than power and that for city regions to succeed in addressing inequalities there needed to be more resource as well as responsibility passed down by government. It was suggested that cities also needed to be proactive, setting out how they want to solve their own problems, then they are likely to receive more support from government to enable those solutions. One of the concerns raised was regarding the different levels of governance and areas covered and how these would work together. Clearly with North Somerset not included as part of the West of England Combined Authority or as part of the metro mayor area, this presents some challenges, given they are part of the Local Enterprise Partnership area. Other anomalies were also identified, with Bath and North East Somerset included in a different Health Partnership Area and a different Housing Market Area. Working across the area is complex and developing shared agendas a real challenge. Become Britain’s first full employment city – further progress could be made on boosting employment rates in deprived parts of the West of England and for single parents to edge close to that goal of full employment. Boost pay for low and middle earners – the Metro Mayor should act as convenor to encourage productivity-raising responses to the National Living Wage as well as promoting uptake of the voluntary Living Wage. Build more affordable homes – affordable housing should be front and centre of the combined efforts from local leaders, with a key role for the Metro Mayor to drive through the process of implementing the Joint Spatial Plan to deliver new homes. These priorities, along with developing shared agendas and collaborating across the city region and with Whitehall and Westminster are what this new role is all about. Despite the perceived lack of powers and resource there is a glimmer of an opportunity that needs to be taken. The candidates are currently being announced and the election for the first Metro Mayor takes place in May this year. Given there are no other local elections this year it will certainly be interesting to see if this election will manage to grab the attention of the voters and what the turnout will be. 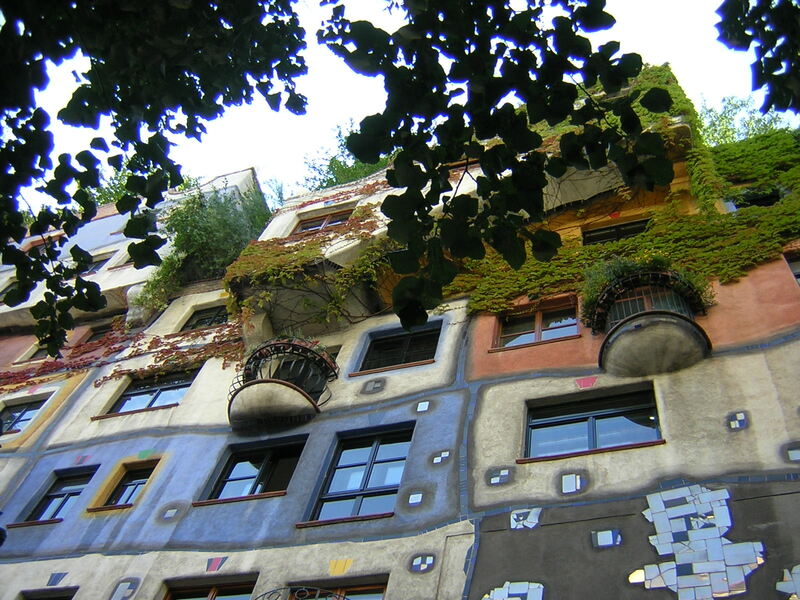 Housing Policy – consensus and agreement? 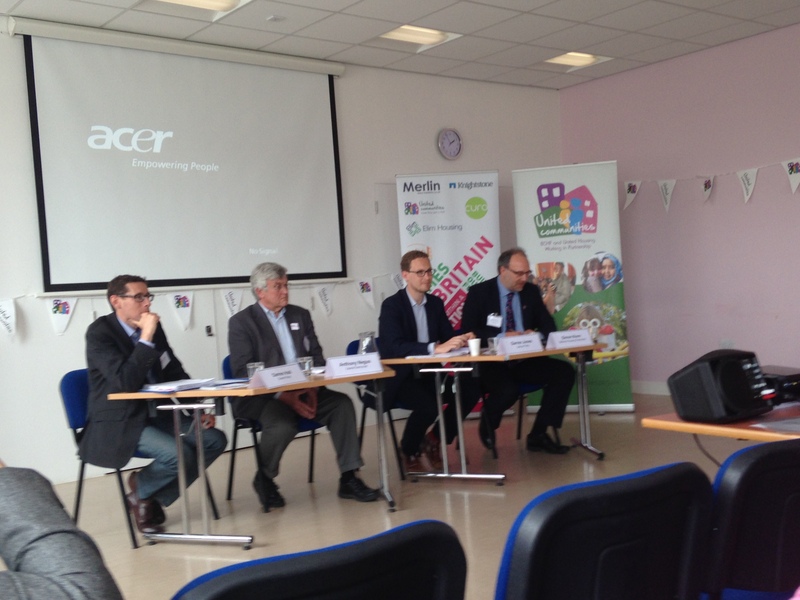 The Homes for Britain Campaign came to Bristol this week for a housing hustings organised by The National Housing Federation, with support from United Communities. 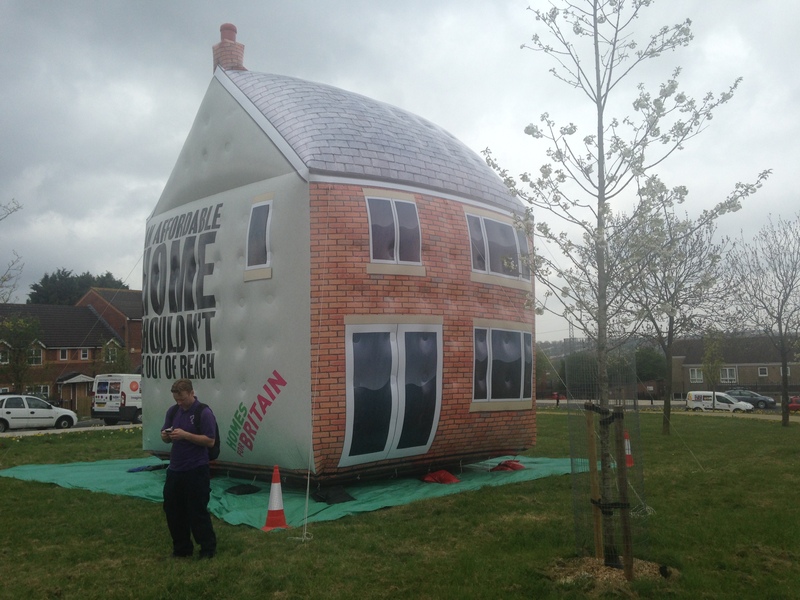 The event was a bit of a rallying call to local politicians to take housing seriously as an election issue and to see just what they had to say about housing in Bristol. There were some useful background presentations from Oona Goldsworthy, Louise Swain and Matt Griffiths, which were followed by a Q&A debate with the candidates very effectively and efficiently chaired by Simon Nunn. In terms of candidates and representation then things looked a bit thin on the ground, with the Tory MP (Charlotte Leslie) cancelling at the last minute and UKIP not attending. We were left with the Labour candidate for Bristol North West – Darren Jones, and the Green candidate for Bristol West – Darren Hall. In addition, the Lib Dems deemed it appropriate to send a Bristol city councillor (Anthony Negus) rather than one of their general election candidates! However, despite this, the debate was both interesting and entertaining, with a well informed audience including housing professionals, tenants and councillors. The debate covered a fair amount of ground, with questions pre-submitted by attendees as well as those from the audience on the day. The panel was pretty well behaved and well informed on housing issues, impressively so! There was also an overwhelming consensus on many of the issues discussed – I wonder if that would have been very different had the Tories been at the debate? There are three main areas that I came away from the debate thinking about: the particular circumstances and approach here in the West of England in relation to housing; the connectivity of policies needed to address the issue of housing affordability and the insanity of the Tory policy on right to buy for housing association tenants. Firstly, the problem we have in the West of England is a group of local politicians who are scared of growth. They talk about the need to create jobs but don’t want to provide the houses that are needed to support growth. Indeed, it was suggested by the Business West representative that our politicians are actively reducing their jobs growth ambitions because they don’t want to build the houses to go with the jobs – how insane is that? It’s a problem that has plagued politics in the West of England for some time. 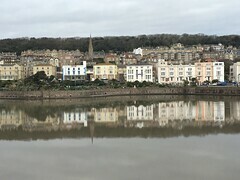 Bristol with its tight boundaries and growth ambitions is constrained by surrounding authorities like North Somerset who resist proposals for new housing wherever possible. The over-reliance on South Gloucestershire to take all the growth is unsustainable and in danger of further over-heating the north fringe of Bristol. This kind of political nonsense is stopping the proper planning and delivery of new homes across the area. It’s in danger of reducing our ability to grow and provide the jobs and opportunities needed across our communities – even the Local Enterprise Partnership is beginning to express concern over the low housebuilding numbers for the area! With a national consensus on the need to build more homes we also need a local consensus amongst our local politicians to face up to reality and start planning properly for jobs and growth. Secondly, whether one agrees that 80% of market rent is affordable of not, that is only part of the story. Clearly affordability is a very personal issue and depends on many factors. The response therefore requires a range of solutions. Yes we need to address the issue of affordable rents in the social housing sector, but we also need to do something about the problems experienced in the private rented sector (PRS). All the panellists seemed to be in agreement over the need for rent caps in the PRS, which is a good start but given 50% of residents in Bristol live in PRS there needs to be more of a policy focus on improving and controlling the sector to provide security and quality. Building more homes is also a key part of the equation, although this has little if any impact on house prices it does at least increase the supply of new homes in areas where need is high. What I didn’t get from the responses and discussion was any suggestion that new social housing was a priority. Yes there were comments about improving planning obligations so new private schemes had to include the requisite affordable housing. But where’s the ‘socialist’ policy on supporting councils to build new social housing? Everything just seems so focused on owner occupation and supporting people to buy their homes, whilst we conveniently seem to forget there are other options? But above all, the point came across very clearly that housing policy alone will not address issues of affordability. We need to focus on raising income through increasing the minimum wage, introducing a living wage and banning zero hour contracts to provide people with a decent standard of living. Add to this the point about quality in our housing, providing reduced energy bills, and you get a general feel for how a plan and strategy for housing would need to include a whole range of issues from across different policy areas (and that’s without even going into the whole benefits arena). The last point that came across loud and clear, that really only reinforced my own view, was the insanity of the Conservative Party proposals to introduce right to buy for housing association tenants. It was indeed a real shame that no one from the local Tories was brave enough to come and face an audience of professionals from the housing association sector, because it meant no one was there to try and explain the logic behind their policy! It seems obvious that all three parties represented at the meeting would be opposed to this policy, and indeed they were, vehemently so, describing it as ridiculous and rubbish – I couldn’t agree more. The debate varied a little over right to buy generally, with some agreeing with the principle but not the way it has worked, leaving us with such a depleted social housing stock. Indeed the recent Tory proposals suggest that new stock will be paid for by local councils selling off their better quality stock – difficult when after 25 years of RtB there is very little quality stock left to sell, so once more we could lose even more affordable homes without the ability to replace them. Overall I enjoyed the debate and was impressed with the knowledge our politicians had on housing issues, but I still came away thinking that there was something missing, that the ‘plan’ is not yet complete. Let’s Build the Houses – Quick! 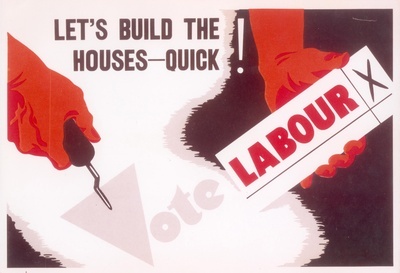 The title for this post is unashamedly borrowed from a 1945 Labour campaign poster, when housing really was ‘the’ election issue. The sentiment is perhaps even more pertinent now, but sadly the response from the main political parties falls well short of what is needed. What hope is there if those likely to form the next government really do not grasp the issues and fail to develop policies that will work. Politics truly seems to have taken over from any sense of ‘what works’! Yesterday, the Labour Party launched its Manifesto, but sadly there was little new or different about their housing policies. The pledge is there to build 200,000 new homes a year, to build new garden cities, the reinvestment of help to buy ISAs and backing for small builders, but there is nothing new – this has all been mentioned before and most was the subject of the Lyons Review report. So no big surprises, no new policy to get us excited about the possibilities for action and making a difference! If you want to know more, I recommend blogs by Jules Birch and the RTPI, who cover the issues in more detail. I was more encouraged by the work of the Fabian Society and John Healey MP, which considers the ‘overwhelming case for new public housing‘ and puts forward arguments for why we need to build more social housing. Let’s hope the Labour Party is listening to some of this and can beef up their housing policies if elected. Today sees the launch of the Conservative Party Manifesto, which in housing terms pitches back to the 1980s and the Thatcherite Right to Buy policy, this time promising to extend the policy to Housing Association tenants. So what we have proposed is a policy that sells off affordable housing to individuals, who already live in secure accommodation, undoubtedly without the ability to replace these homes 1 for 1. Quite how this helps us to address the housing crisis and the lack of affordable homes is beyond me, but clearly it could be an attractive policy to those who will directly benefit. For those in private rented accommodation, or living with friends/relatives, or homeless, or living in overcrowded housing because of the lack of available, affordable housing, it’s a policy that further limits choices and that reduces the hope for many of ever finding a decent home. Those in favour of RtB policy see it as increasing equality and providing more people with the opportunity to buy their own home. This is undoubtedly true, and many have benefited from this over the last 30 or so years. But unless we build new social homes to match those sold, we end up with less and less social housing stock for those that need it. We have an ever increasing affordability crisis in the housing sector. We have more people in poor and inappropriate accommodation. But we have fewer social/public homes to offer those in need. How is that promoting equality of opportunity? The problems of our housing crisis are there for all to see, the solutions are pretty obvious and mostly agreed upon within the housing profession. But politics takes over and we are left with a reinforcement of the problem rather than a solution to the problem of the lack of affordable homes. Building more affordable homes where they are most needed and maintaining them as social/public housing stock is essentially the simple solution. Instead we seek to sell them off, push people into the private rented sector and support the lack of affordability through benefits payments (which we’ll also reduce at the same time). So far, whilst it is indeed good to see housing policy on the political agenda, and playing some part in this election debate, I am less than impressed with the ‘solutions’ offered by the two main parties. Let’s build the houses – quick – seems like a mantra we should all be repeating, often and loudly! In Bristol and the UK we have large numbers of people who can no longer afford a decent home. They are stuck living with parents, or in private rented accommodation that is overcrowded, expensive and in poor condition and they have been denied the opportunity of moving into social housing because the council stock has been sold off under the Right to Buy and council’s have been constrained in their ability to replace it with new housing. Yet housing still doesn’t feature as a top political priority – sure we hear the nice words about how they all want to build more, as long as it doesn’t cost anything and government doesn’t need to invest in it. Just what does it take to create the change we need? We’ve had all the political talk at Party Conferences about how this is a critical moment for housing policy, we’ve had the Lyons Housing Review and we’ve had some policy commitments. But I’m not entirely sure anyone really believes that the politicians nationally and locally are truly committed to making housing a priority and that the initiatives and policy ideas they have come up with will actually solve the problem – I remain mostly unconvinced, although there are indeed some interesting and good policies and commitments, they’re just not comprehensive or radical enough. They’re not going to see large numbers of new homes built or enough empty homes brought back into use to meet existing or future need. In Bristol we have had plans and strategies on affordable housing, we have had the report of the Homes Commission and we have seen some new social housing built for the first time in a long while. However, we are still no where near providing sufficient new homes for those that need them, I’ll talk about some of the reasons for this in a future blog. We’re failing a whole generation of young people and forcing others to live further and further away from where they work. Something has to change but how? What a great idea, perhaps it’s time to have that very debate again in Bristol and to encourage participation from neighbourhoods across our city. To discuss some alternative solutions to housing provision instead of focusing on a system that clearly doesn’t work? To involve those seeking a decent home but who can’t afford what is on offer and who have given up on a social housing system that has been reduced to a residual service. Maybe it’s also time to listen to those who have solutions but are marginalised, as their solutions don’t support the traditional mainstream approach to housing? I’m not suggesting there are easy solutions by any means, but there are options that we seldom fully explore, that don’t fit with mainstream thinking, that appear on the surface to be for “others” and not for everyone. I’ll briefly raise just two of these to illustrate the point: conversion of offices and kit build housing. Firstly, the idea of converting empty office buildings into affordable housing for those who cannot afford to buy or rent at the moment is something that is taking hold in Bristol. A group called ‘Abolish Empty Office Buildings‘ (AEOB) has just purchased their first building to prove that “ordinary people can refurbish office buildings, create social housing communities and produce a modest return for investors”. There are many empty office buildings throughout the city and in local neighbourhoods which could be brought back into use in this way, but there is currently little incentive for owners to do this. More usually they are left empty or converted into luxury apartments or student accommodation – none of which does anything to help those in need of affordable housing. The idea of local communities raising the money for themselves to buy empty sites and property, convert and then maintain ownership has got to be a more sensible option than waiting for the volume house builders or government to sort the problem out. It brings control back to local people and communities, a principle I’m totally in favour of and where we have many excellent examples from the past. Perhaps the best is that of the ‘plotlanders’ of South East England in the early 20th Century, where areas of disused agricultural land were sold off in small plots to people wanting to build their own holiday home or small holding, these were then gradually improved and extended into permanent homes. These were fiercely independent communities, who had built their own homes, without help from those in power, they’d done it through self help and mutual aid – an interesting concept where people come together in voluntary cooperation without the need for state intervention, authority and control. These types of examples in recent times are, however, all too infrequent and unsuccessful, often written off as the fringe activity of a radical few and stifled by regulation and enforcement action. I look forward to seeing how the AEOB group and campaign progresses in Bristol and beyond, it’s just the kind of activity we’re crying out for and I applaud the group for their vision and action. The second example is a little more mainstream, but gaining support and acceptance appears to be just as difficult. The idea of ‘kit housing’ has been around for some time and indeed is pretty standard in France and Germany where volume house builders do not rule the market. The beauty of kit housing is that it is factory built, it’s cheaper and can be erected on site pretty quickly. 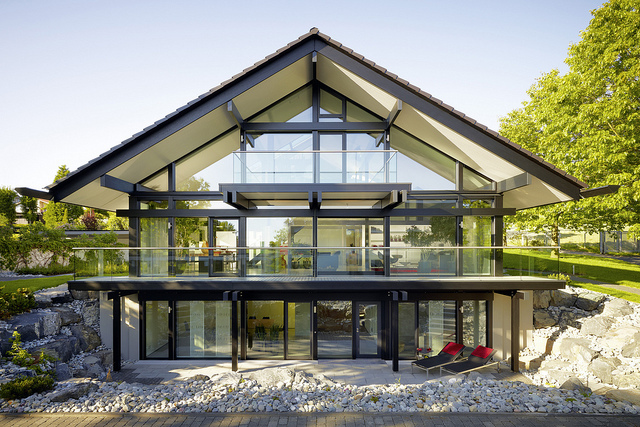 There are many companies out there providing this form of housing, from the original and more expensive Huf Haus, to relative newcomers to the arena like Apple Green Homes. I’ll confess that I’ve always wanted to live in a Huf Haus but could never afford it, but the idea of a kit house appeals to me, maybe I’ll investigate my options further. But on a grander scale than my ambitions, imagine if Bristol could be one of the first in the country to develop this idea further, where the council were brave enough to provide the land and support such a development. It would certainly fit neatly with Bristol’s Green Capital programme – kit housing is energy efficient, they generate less waste in the building process and use more sustainable materials. What’s not to like – they’re also cheaper! What this second example needs are identified sites which the council, or other landowner, are prepared to provide upfront but are willing to wait for a return on investment until the build is complete – it’s an investment programme with a guaranteed return, both in terms of money and affordable housing. The key question here is do council’s have the flexibility to broker this kind of deal and even if they can, will they? There’s a challenge there for Bristol and other cities to make this happen. And there’s a challenge to all of us to support these different initiatives to help effect the change that is needed. Is it time to listen to the ‘silent majority’? That seems to be one of the questions asked in a recent Fabian Society report entitled – Silent Majority: How the public will support a new wave of social housing. The focus of the report is public opposition to new housing as an explanation for why successive governments seem unable to address the growing affordability crisis in UK housing. Lack of public support for new housing, particularly social housing, is often used as a reason for not doing more, for why government shouldn’t be involved and why this is no longer part of what the local state should be focused on. The Fabian report seeks to dispel this myth, suggesting that nearly 60% of people would actually support more social housing and many would be positive about the government playing a key part in provision. I’m sure this is a report that the current government will ignore, as it certainly doesn’t chime with their approach to social housing, where the state’s role is reducing, with less and less funding available, and reliance for affordable housing provision resting more and more with housing associations and the private sector. There’s a further strand to the idea of listening to the silent majority and that’s to down play the amount of coverage and credence we give to NIMBYS. How about we stop and consider all those who are currently living in cramped and overcrowded conditions, in unaffordable accommodation, living miles from where they work, still living at home with parents, ‘sofa-surfers’ and others living in unacceptable housing circumstances because they have little choice because they can’t afford the alternatives currently on offer. How often do we hear from them? Sadly it seems that when we do, people in need of affordable and social housing are frequently depicted in a less than positive light, stigmatised by circumstance! The Fabian report calls for passionate politicians capable of carrying clear messages to the public to change perceptions and to deliver the change we need. What hopes and signs are there that this might happen? Well in the build up to next years general election there’ll probably be lots of promises, indeed the Liberal Democrats have already suggested that local council’s should be able to suspend the Right to Buy in their area to protect existing council stock. A good idea particularly where waiting lists are long and where council’s are building new homes with public money. But then we have the knee jerk reaction of other politicians to the notion that we should be building more homes – enter Brandon Lewis, Minister for Housing & Planning. 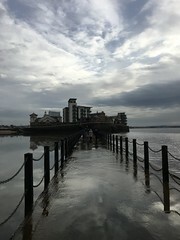 Last week as we had the announcement of the winning entry for the Wolfson Garden City Prize the government immediately distanced itself from the proposals (is there an election in the near future then?) writing them off as urban sprawl and top-down imposition of housing on local communities that just won’t work. Indeed if that’s what the winning proposal had suggested I’d have some sympathy with the response, but it’s not. In fact there’s so many good ideas in all the shortlisted entries that the government would do well to take a proper look at them before defining their own policy. The existing process of allowing local councils and communities to decide where housing should and shouldn’t go quite frankly isn’t working in many areas of the country – something has to change. Everyone seems to agree there is a problem, we’re not building enough homes and housing is getting more unaffordable. Where we don’t seem to agree is on what causes this problem and how to solve it, we get argument and counter argument along with initiative after initiative. But does anyone have a long term solution that will actually create the change we need? A solution that we can begin work on now so the problem doesn’t just get worse and worse – sadly not. Perhaps the election process will draw out more solutions? Although somehow I doubt it.